Should Singapore bring in vaccine? 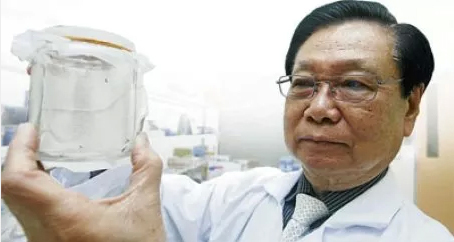 Question: Malaysia intends to step up the use of a biological agent to fight the dengue epidemic as a staggering 2,000 cases of the viral infection are being reported each week. The agent, Bacillus thuringiensis israelensis, or BTi, is a bacterium found naturally in soil and has been used worldwide to combat mosquitoes and black flies since 1982. The health minister said this was the first time BTi was being used on a large scale against a dengue epidemic. How effective will BTi be in combating dengue? Answer: There are several measures that have been used for the control of dengue mosquito vectors. Fogging with insecticide is effective against the adults, while using Abate for larvicide is also good. Combining insecticide with BTi was considered by the Ministry of Health (MoH) a long time ago and I am surprised that this is only now being considered — perhaps there were some logistical problems with it earlier on. But there’s a problem with the use of BTi or Toxorhynchites splendens (a species of mosquito) larvae to destroy Aedes larvae — you have to make sure they land in the same breeding container or site. This is not easy to achieve as the breeding sites are all over the place, so its significance for widespread application is doubtful. Question: So, you view this as a desperate measure? Answer: Well, I view it as an additional measure. Whether it’ll be effective, time will tell. But I have my doubts. I think all these are fire-fighting methods. In the end, some may work, while some may not be sustainable in the long term. Question: There was a lot of talk about using GM (genetically modified) mosquitoes to mate with female Aedes mosquitoes to ensure the eggs do not turn into larvae. What is your opinion on this? Answer: This is a non-starter as far as I am concerned. It is an interesting piece of science but I doubt it can be applied as a control measure on a wider scale. There are many issues which work against its use. — For one, there’s public perception. GM mosquitoes, like anything labelled GM, has a stigma to it and will find it hard for the community to accept. Also, the flight range of mosquitoes is short, so one has to release millions of mosquitoes at frequent intervals at multiple sites. It will definitely cost the government a lot of money. It is difficult to sustain such control measures even if it works. Question: It was reported that there’s a fifth dengue variant in the country, the Den-5 virus, and that it has been discovered in the blood sample of a man from Padawan, Kuching. However, deputy director-general of health (public health) Datuk Dr Lokman Hakim Sulaiman has dismissed the existence of the Den-5 virus. Is Den-5 a new threat to Malaysians? Answer: I think we must not be alarmist and think the Den-5 will be a new threat to the country. Being a sylvatic strain (simian strain), it is unlikely to cause any major problems anytime soon. For example, the Sylvatic Den-2 strains have been reported in only very few cases, even in Africa, after many years. Apparently, these types of dengue viruses do not seem to spread readily or cause diseases once introduced into the human cycle. It is a well-known fact that dengue viruses have a zoonotic cycle in the jungle. This was documented in the early 1960s in Malaysia by the Hooper Foundation, University of California, when monkeys hoisted up in cages in forest canopies got infected and viruses were recovered from them. We think that such sylvatic strains do not get transmitted readily in the urban setting, which is what the Aedes problem is about right now. Urban mosquitoes are not very good at carrying such a virus — that’s why it hasn’t spread like the other dengue strains. Let’s wait and see, but it should not be a distraction for what’s going on in the field of dengue vaccine (research) right now. Question: Dengue cases have been increasing in the past few months. Many are worried that there would be another wave of dengue if Den-5 spreads from Sarawak. Answer: Dengue is cyclical and it just happens that this is a particularly bad year. There is nothing novel about this. MoH has been tracking the epidemiological patterns of dengue over the years, including mosquito density, circulating virus strains, weather patterns like rainfall, et cetera. Apparently, Den-2 is the dominant strain responsible for the current outbreak, with Den 1, 3, and 4 also present. Again, you see it’s a familiar pattern where several serotypes are co-circulating. However, Den-2 is known to be a more virulent serotype among the four dengue strains, with the mosquitoes being able to spread it efficiently. It has been documented that infection with one serotype, for example Den-1, followed by a Den-2 infection can result in more severe and fatal cases. Den-5 does not play a role in the present outbreak. As a matter of fact, except for the novelty of its isolation back in 2007, it has not been reported locally or anywhere else. I am sure if it is around, it would have been picked up by MoH in its surveillance mechanism. Question: We understand that a vaccine for dengue will soon be available. How soon can this happen? Answer: We’re hoping that in two years’ time, there will be a vaccine commercially available. As the immediate past president of the Asia-Pacific Vaccine to Vaccination Dengue Steering Committee, I am following the progress of the vaccine development closely. Phase III of tetravalent vaccine trial on the leading vaccine candidate developed by Sanofi Pasteur is about to be completed. It will provide an indication as to how soon this vaccine can be licensed if the trial is successful. It is anticipated that demand will exceed supply initially. But since Malaysia is involved in this trial — if MoH decides to introduce the vaccine here — we will have a better chance of getting it. Question: Will it be effective against Den-5 as well? Answer: No. Dengue vaccine development against the four serotypes is already in advanced clinical trials in many countries, including Malaysia. 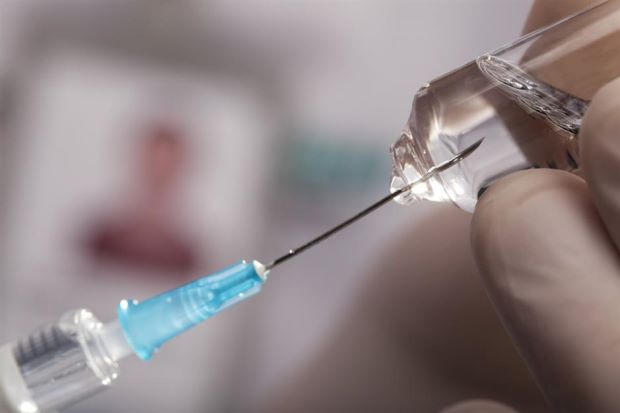 It has taken the world scientific community over 30 years to come to this stage in the development of this tetravalent vaccine, and we are hoping that the outcome of the multi-centre trials will show later this year that the vaccine works. Let us concentrate in getting the trial vaccine to work against the four serotypes and not be distracted by a scientific novelty like Den-5. Question: How do other countries combat dengue? It seems that some, like Vietnam, have been more successful than us. What haven’t we done enough? Answer: I think we’ve done what we can here. In countries like Vietnam, they’re a bit stricter with regard to control measures and implementation of enforcement. Their enforcement is very efficient, particularly in public places like schools and building sites. Here, we have a lot of abandoned building sites. There are many pools of water there and these are ideal places for mosquitoes to breed, especially if the water level is not very deep. We should pay more attention to these. But these are abandoned places and nobody is in charge of them and nobody wants to take responsibility for them. Over here too, we have a lot more urbanisation. Dengue is an urban disease. If you have a lot of people coming to stay in an urban area, then you have a population with a lot more people who are susceptible to infection. A lot of them can come down with dengue virus when they come into contact with it. At the same time, Vietnam also applies other measures, for example they mandate that open pools of stagnant water in containers must contain fish in it. The fish will eat the larvae. Here, we do fine people who have the Aedes larvae in their homes but even then there are so few cases where people are actually caught and fined. We have plenty of rules and regulations, so it’s all about implementation and enforcement. Question: As newspaper reports on dengue pile up, so too have comments about public apathy towards the epidemic. Is public apathy the sole reason why the epidemic has spread? Answer: The control of the mosquito vector is multi-pronged and should involve the government as well as the public and private sectors. We should not depend on the government to do the job. Source reduction must also involve the ministry in charge of rubbish collection, public cleanliness, and et cetera, to reduce breeding sites. Some factors are within our control, but factors like rainfall, high temperature and climate change — these we can’t do much about. Question: The way viruses are mutating, as also seen in bird flu, with the emergence of new strains, is humankind in danger of being wiped out by a super plague in the future? Answer: That’s a scary thought. If you’re talking about dengue — it’s genetically quite stable. Over the years, we’ve only been seeing these four serotypes. But in the case of influenza, that’s different. Every year, there is a new strain because of mutation. Reports of flu viruses jumping species, like the bird flu to man, is becoming more common. Other emerging diseases may arise when people invade primary forests and come into contact with exotic organisms, for example, through the opening of land for agriculture, even eco-tourism. Nipah virus is believed to have been introduced by bats while foraging for food because of slash and burn activities in their natural habitat. Question: An expert pointed out that mosquitoes were “just an innocent, accidental vector” that become infected when they drew blood from dengue-infected people. So he thinks the best way to stop the spread was to ensure everyone afflicted with dengue protected themselves from mosquito bites. What is your view on this? Answer: The usual recommendation for dengue prevention is very simple — that you wear long-sleeved clothes, apply insecticide and don’t get exposed during the biting times. But how practical is it? Can you expect us go out wearing long sleeves in our tropical weather and to rub on insecticides every day? I think these are additional measures that would not be entirely effective on their own. Fighting dengue is and should be a multi-pronged effort until we have an effective vaccine. via Stay calm, wait for the dengue vaccine: Virologist – General – New Straits Times. 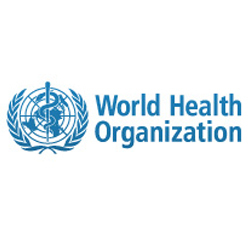 The World Health Organisation (WHO) in the third week of December 2012 approved the manufacturing practices being adopted by the private vaccine manufacturing pharmaceutical companies of India. This approval was given to Indian Pharmaceutical companies after an intensive four days audit of the vaccine manufacturing facilities across the country was concluded by a 16-member multi-nation team that was headed by WHO officials. The team comprised officials from China, EU, the US FDA, Thailand, Sweden and France. WHO gave its clearance to the procedures adopted by the Indian National Regulatory Authority (NRA) or the Drug Controller General’s Office (DCGO). The audit team also cleared that the procedures adopted by the Central Drugs Standard Control Organisation (CDSCO) and institutions affiliated to it meet the prescribed international standards and the procedures inculcated in production were stringent enough to ensure that the vaccines produced by Indian companies were safe, high in quality and efficacious. With this approval India became the first country in 2012 to pass the stringent levels of seven indicators that is put forward by the WHO that is made much more stringent every time conducted by a team of 12 international experts headed by a member of WHO. India at present is a major vaccine producing country with 12 major vaccine manufacturing facilities and the vaccines formulated and manufactured in India are used in national and international markets of nearly 150 countries of the world. In case of measles every second child of the world is vaccinated using the vaccine produced in India. At present India manufactures 30 different types of vaccines that include Hepatitis, measles and polio. This approval from WHO had made the 12 manufacturing units of India eligible for supplying the vaccines to international bodies like UNICEF, WHO, World Bank, Gates Foundation, Clinton Foundation, and GAVI.